The Maryland Food Bank – Eastern Shore Branch distributes food to eight counties: Caroline, Dorchester, Kent, Queen Anne’s, Somerset, Talbot, Wicomico, and Worcester. In 1981, the Maryland Food Bank opened a branch in Salisbury in order to better serve our neighbors on the Eastern Shore. In its first year, the branch distributed about 33,000 meals. In FY 2018, the branch distributed more than 5 million meals to food-insecure Marylanders. Nearly 45,000 individuals on the Eastern Shore are food-insecure. Over a third of that food-insecure population are children — more than 15,000 kids. The Maryland Food Bank – Eastern Shore Branch distributed more than 5 million meals in FY 2018. Still, hungry families on the Eastern Shore miss nearly 8 million meals each year. The Maryland Food Bank – Eastern Shore Branch serves some of the most food-insecure counties in the state, including Wicomico and Somerset counties. Since its launch, the Maryland Food Bank – Eastern Shore Branch has grown its distribution significantly. 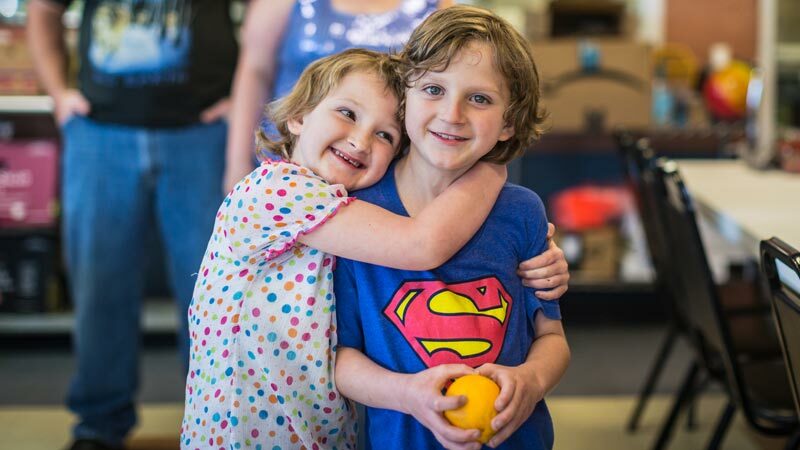 In the last few years, the branch has expanded the Maryland Food Bank’s School Pantry Program, which distributes food to children and families in need throughout the school year to 24 pantries. The Maryland Food Bank – Eastern Shore Branch currently provides food to 196 distribution and community-based partners in the region.